Samsung Galaxy S8 and Galaxy S8 Plus just unveiled by Samsung to bring back their brand image which Galaxy Note 7 the time bomb device damaged. Both devices carry the impressive look and high-end specifications will every Android lovers will crave. 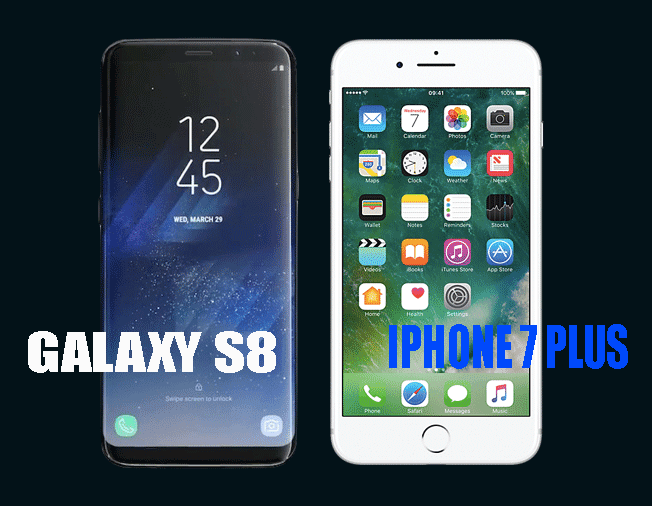 We are going to share with you the five things which Galaxy S8 and Galaxy S8 Plus has which iPhone does not have. iPhone fans will need to switch to Galaxy S8 to be able to enjoy these wonderful new features. Samsung Galaxy S8 comes with a Quad HD definition and iPhone 7 Plus has a 1080p definition. The screen resolution of Samsung Galaxy S8 can be set. Galaxy S8 screen is much taller compared to iPhone 7 this is because Samsung has no home button. The Iris and Facial Scanner oh a unique which makes Galaxy S8 take stand takes this device security one step further is absent in iPhone 7. The Touch ID feature on iPhone is also present in Samsung Galaxy S8. Galaxy S8 and S8 Plus features a unique USB-C fast charging capability which are must faster if matched to Apple’s Lightning connector. Not present in any iPhone device yet. There are several rumors which claimed iPhone might introduce the USB-C fast charging capabilities in their new device coming soon. With the large internal memory, storage Samsung Galaxy S8 has it still give space for an increase up to 256GB via MicroSD card slot. As for iPhone it only gives you the option to choose from 32GB, 128GB, 256GB. iPhone eliminated headphone port from it iPhone 7 and 7 Plus and introduced the wireless headphones in place of headphone port. However, Samsung chooses to keep the headphone jack in the Galaxy S8 and Galaxy S8 Plus so, their users will use the regular headset and not trouble themselves other buying any wireless headphones. These are they five things Samsung Galaxy S8 and S8 Plus has, and iPhone does not have. Do share it with your friends. Previous articleSamsung Galaxy S8 and S8 Plus Launched! Panasonic HD605N – New Noise Canceling Headphones!